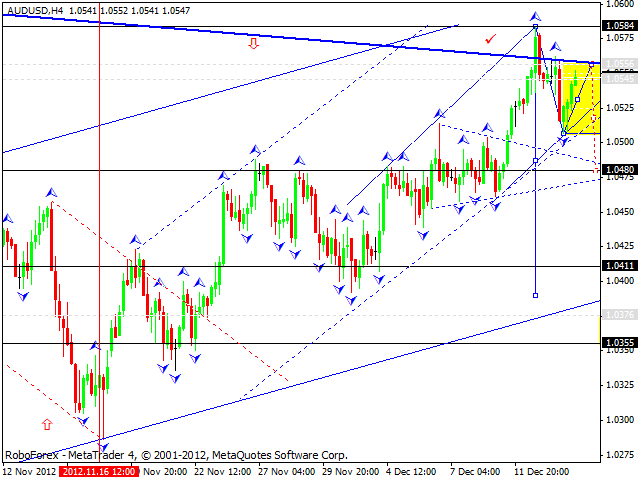 The EUR/USD currency pair continues consolidating at the current top levels, the price may for a reversal pattern. The next movement may be towards yesterday’s minimums, then to the middle of the structure, and after that I expect the pair to continue falling down. 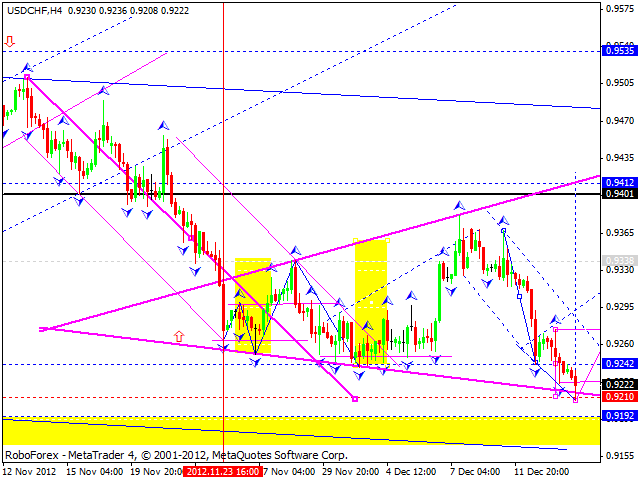 The GBP/USD currency pair formed the first descending impulse and to day this impulse is being corrected. Later, in my opinion, the price may move downwards and break the minimum of this impulse. 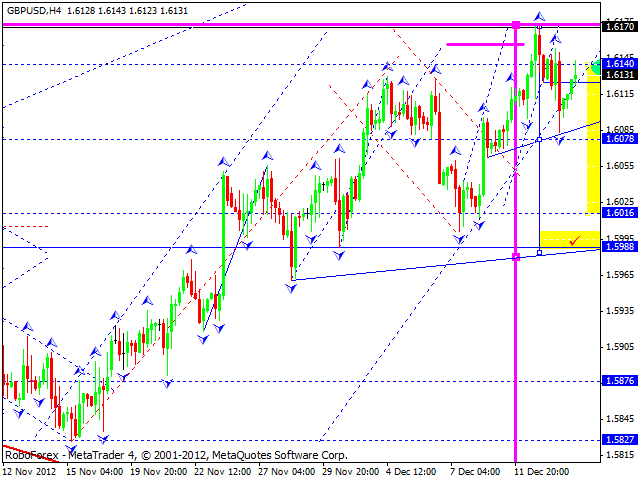 A predicted target is at 1.5900. The USD/CHF currency pair expanded its consolidation channel downwards and reached the lower border of “divergent triangle”. I think today the price may start growing up towards the top of the pattern, break it, and then continue moving upwards. The USD/JPY currency pair tried to expand the current ascending wave; at the moment the price is forming a descending impulse. Today, in my opinion, the pair may continue this descending movement and finish a correction at the level of 83. The structure of this descending movement may help the market define whether the price starts a more serious correction or a new ascending movement to reach the target at 84.50. 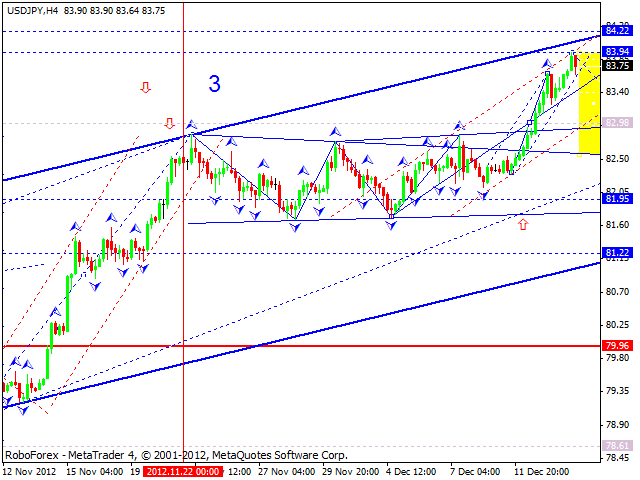 Australian Dollar reached the main target of this ascending wave. 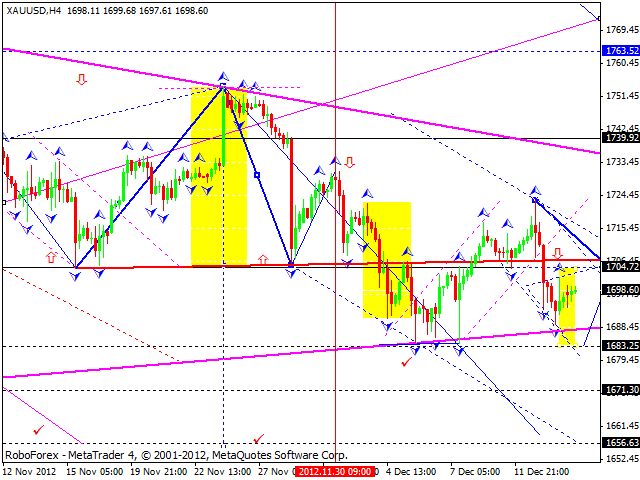 We can see that the first descending impulse has been completed and corrected. In my opinion, the pair may continue falling down, break the minimum of the first wave, and start a consolidation. 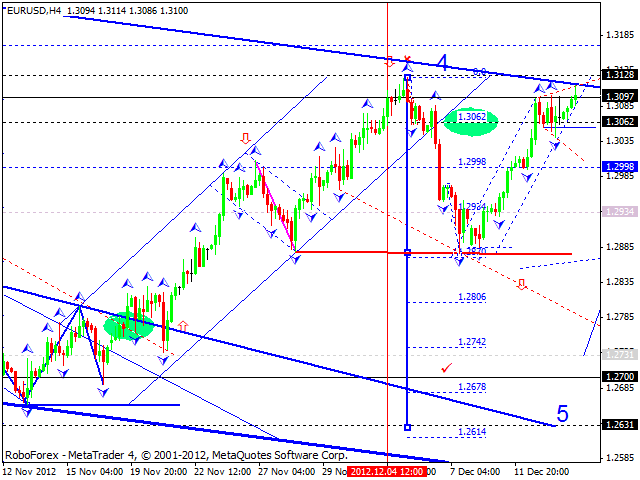 A predicted target is at 1.0480. After yesterday’s descending movement, Gold continues consolidating. I think today the instrument may reach the level of 1683. Later I expect the price to grow up towards the target at 1707, test it from below, and then continue falling down towards the main target at 1656.